"I would highly recommend The Dental Studio...Thanks again Dr. Procopio." "I continue to have an amazing experience at The Dental Studio. I highly recommend..."
"I would recommend this practice to everyone looking for a caring, family practice!" "Amazing experience! Dr. B was calm and very knowledgeable...Love the office decor too.."
"The staff is caring and considerate...I recommend this group." "Excellent! Very friendly, no pain." "All the newest technology! Cosmetic dentistry at it's finest. Warm friendly staff." At the Dental Studios, we provide state of the art, compassionate and comprehensive dental care in a comfortable family friendly environment. 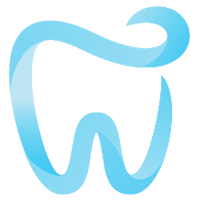 There are a lot of great dentists out there, but what sets our practice apart is our belief that when it comes to your health, only the best will do. All of the materials and laboratories that we utilize at the Dental Studio have been carefully selected with you and your care in mind. We treat all of our patients as members of our “extended family” and we will tailor your smile’s treatment to your body and your lifestyle. Thanks for stopping by, and we look forward to meeting all of your dental care needs!